ACI INVERUNO, founded in 1943, is one of the leading brands producing creams, polishes and ancillary products for the shoe industry. 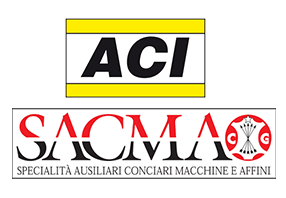 Over the last years, ACI’s importance in its field strengthened thanks to the continuous development of its finishing products and to its wide sales network, made up of representative offices and warehouses in the main shoe manufacturing areas all over Europe and Asia. working cycle, which spreads through beamhouse, tanning, retanning, greasing, dyeing and finishing . up to date machinery, research and development facilities and quality control laboratories.